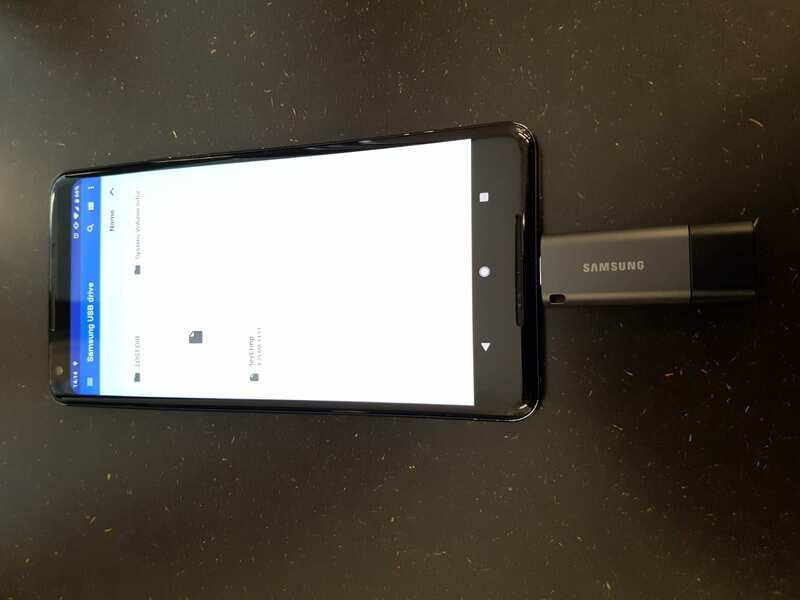 Valutazione su Samsung Duo Plus (128GB, USB tipo C, USB tipo A). 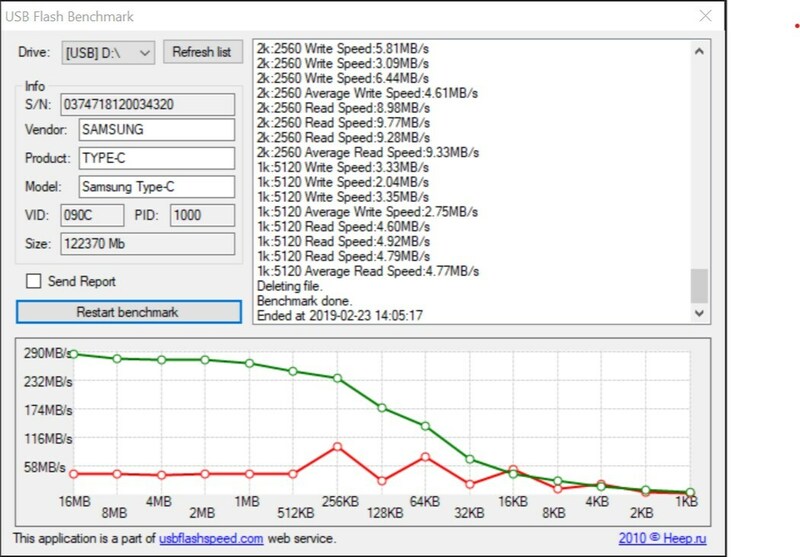 Testing the speeds in USB Flash Benchmark (see screenshot attached) revealed good reads speeds (ca. 290 MB/s except for very small files), but rather disappointing write speeds (ca. 40 MB/s).